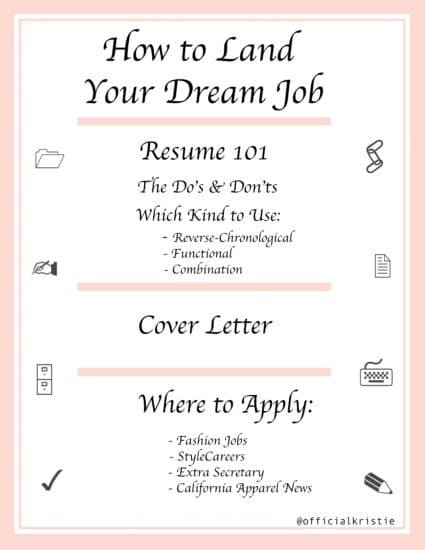 It can be very nerve wracking to try and put together the perfect resume for your dream job. Every experience you've ever had comes across your mind and you sift through your life to find what best applies for the job you're going for. You may feel tempted to add some elements to your resume that you think would help you stand out among your competitors. 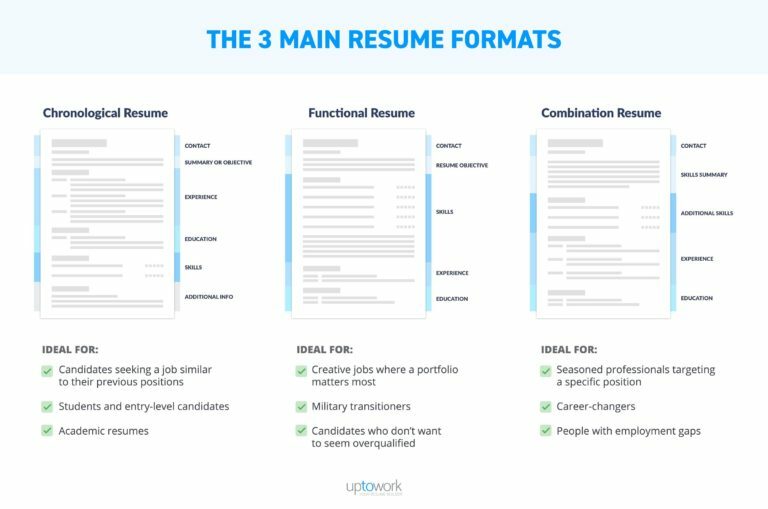 Overlooking applications and resumes is a daunting, tedious task, and all you have as a prospective employee is this little piece of paper to make a good impression. In this article, I will be guiding you and providing you with tips on how to create the ideal resume so that you can hopefully make that amazing first impression! Ideally, you want to introduce yourself as the most likely candidate for the position you're seeking. The first step to creating a successful resume is deciding what kind of experience to include. A standout resume will showcase you in the best light, will be short and clear, organized and formatted, and will include your most relevant professional experience. 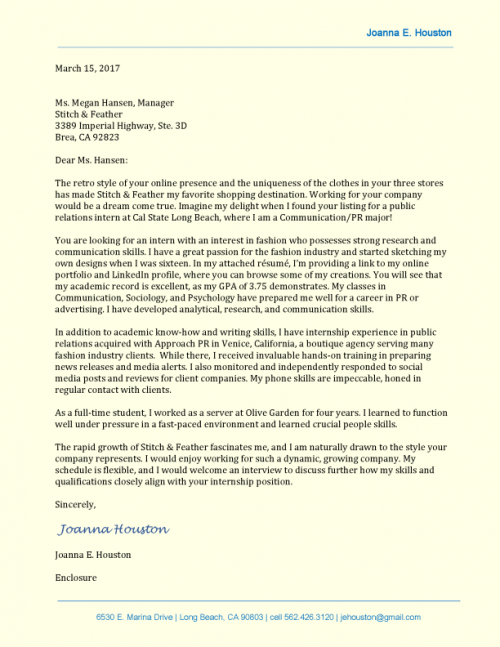 Let's say that you're applying for a job in the fashion industry; you will want to tailor your resume to the skills and experience that is relevant to the job requirements. It may sound simple, but you may often be tempted to bog down your resume with unnecessary details. Do Include college experience. A college degree is something to be proud of. It tells prospective employers that you are educated and can stick with a program for a long period of time. It shows that you have the ability to see a task to the end. If your degree displays that you specialized in the type of job you're going after, even better! If not, include it anyway. A college degree will open many opportunities for you in a plethora of different fields, regardless of what you majored in. Don’t List your high school diploma under education. Unless you're applying for a job right out of high school, your diploma is no longer necessary to include. Any job position that requires you to have a college degree will only be interested in learning about your college education; it will be assumed that you finished high school. Do Describe the duties you took on in any job experience you list. If it is a past position you're referencing, write down your tasks and duties in the past tense. Only your current job experience should be referred to in present tense. Don’t List your duties from your job experiences in the first-person. Example - “Intern at Gucci: I used Adobe Illustrator and assisted in fittings.” It is unnecessary to write about your job duties in the first person. It changes the resumes vibe from professional to conversational. Do Sift through your job experiences and only display those most relevant to the job you're applying for. If it has been several years since the job you're thinking of listing, or if it has little or nothing to do with the fashion industry position you're after now, it's got to go. That period you spent as a blogger for A Girl In LA doing fashion writing, that is something more applicable to include. Don’t Waste any precious space with irrelevant experience. It was basically already mentioned, but this includes not elaborating too much on job duties and tasks as well as any recognition or awards you have received for unrelated things. It is also highly suggested to not include a headshot. Sometimes companies will ask for a photo, but don’t include it on your resume. Do Have someone proofread it. There’s nothing worse to prospective employers than sending a resume with spelling or grammar errors. Ask a friend to look it over before you start sending it out. Don’t Include references. Unless the prospective employer specifically asks for them, leave them off your resume. It’s a good idea to keep an updated list of three references and have it ready to send if asked to. This one is generally an easy decision to make, depending on how you're applying for jobs. The go-to is called the reverse-chronological resume, and the name gives it's structure away. In this format, your most recent job experiences and your current job would go at the top. This would be followed by in reverse chronology every job experience that you've had that is relevant to the job you're applying for. This format is the go-to because it works well with almost any job you may be applying for. Other formats should only be considered if your job search is more specific or your situation is a little different. This format should be considered when applying for a job that requires you to also submit a portfolio. It is a way to have a resume that stands out in creative industries where the employer is more interested in your portfolio. It is also an option for those transitioning out of military work, because the job duties may require more space for elaboration. It is suggested that recent graduates and students steer clear of this format as it will highlight their lack of work experience. As the name suggests, this format is a hybrid of the previous two. This format is only ideal if the candidate has a lot of related work experience and relevant achievements to the position they're applying for. Also for those who are seeking to change their careers and are looking to showcase how their previous experiences have prepared them for this new career. Remember, this format is only ideal in the previous two circumstances. When in doubt, go with the golden standard, the reverse-chronological resume. There is a possibility that you may be required to submit a CV or Curriculum Vitae rather than a standard resume. The two are very similar, but the CV requires you to go into detail about your academic and professional achievements, and is usually requested when applying for an academic career, such as teaching. Here’s some more information on how to create a CV. Most applications will require that you submit a cover letter along with your resume. The best way to think of a cover letter is to think of it as a pre-interview. When you submit one, you want it to be tailored specifically to the various job you're applying for; which means avoid sending out a generic cover letter. Why? Because you want to stand out! Begin by typing your name at the top, and the date underneath it. Next, write the company’s name and contact information. When starting your letter, address the person directly (ie. Dear, Bob) if you know who will be reviewing your application. If you do not know who will be reviewing it, address the letter respectfully to the department or simply "To Whom it May Concern." Next, tell a little about yourself while staying professional in your words and only including things about yourself that stands out as relevant to the job at hand. Reiterate any relevant education and volunteer experience that will help propel you in the right direction. Explain your career goals and aspirations, and why working for their company will fit your needs. Let them know how you would be the perfect candidate for them. Include a follow up paragraph detailing your duties in all your relevant job experiences and why they prove you're qualified for the job. This is a chance to sell yourself. Do it! Explain how the different duties you performed and skills that you acquired help make you the perfect candidate for the job you're applying for. Finally, end your cover letter by thanking the reviewer for their time and consideration. If the job requires relocation or any other pre-hiring duties, explain how you plan to do whatever the job requires of you. Congratulations! You now have your perfectly formatted resume that professionally lists of all your relevant experiences and education. Time to apply for jobs, but where should you start? The website Fashion Jobs allows users to sign up and apply to jobs in the fashion, beauty and PR industry. Some of the top companies like Revolve, Elite Models, Assouline, and Halston look for potential candidates on this site. You can tailor your search to permanent contract offers, fixed-term contract offers, internships, temp/seasonal, freelance, and many more. To busy to search? Setup email alerts so that you’ll get notifications on jobs you may be interested in. It’s ideal for those that are just starting out, and for those that already have a well established career and are looking to get hired by a new company. StyleCareers is another must use site if you’re looking for a job in the fashion industry. Like Fashion Jobs, StyleCareers works with some of the industries leading companies. Prada, Saks, Ella Moss, Balenciaga, YSL, Puma, Kate Spade...the list goes on. First create a profile, upload your resume, and begin applying. The best part, it’s free! This website can put you in contact with your dream companies, and get you the job you’ve been longing for. Indeed allows job searchers to filter by title, location, company, salary, and more. This website is used equally by those searching for jobs and those searching for people to employ. It's very simple and quick. After reading the job description and deciding you'd be the perfect fit, click on the Apply Now button, and you'll be linked directly to the employers website. Like Indeed, Glassdoor is another great place to search for your dream job. Specifically, I have used this website to track down various writing jobs as well as internships. Glassdoor allows searchers to filter by location, salary, job title, and company as well. LinkedIn is like Facebook for career building. Creating a profile on LinkedIn allows you to connect professionally with friends, family members, and coworkers, to build your professional social network. Here, you can upload your finished resume, advertise what it is you're working on, and what type of work you’re looking for. Then connect with companies and businesses directly. LinkedIn makes it fast and easy to search for work and makes it twice as simple to apply. Extra Secretary: Whether you’re looking for a job in a fashion showroom, or looking for a freelance position, scroll through the many job offerings posted on this site. California Apparel News: Search for industry related jobs related to public relations, merchandise, patternmaker, product development, retail, sales/marketing, and many more. You can also post your resume. Monster: Another popular job searching site; where you can search for companies that are hiring, or specific jobs you’d like to apply for. Now that you’ve learned how to create the ideal resume, it’s time to start applying for your dream job! PS: We’re currently hiring! Read about our internships here.